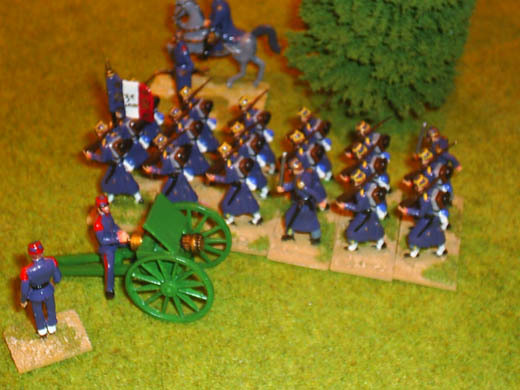 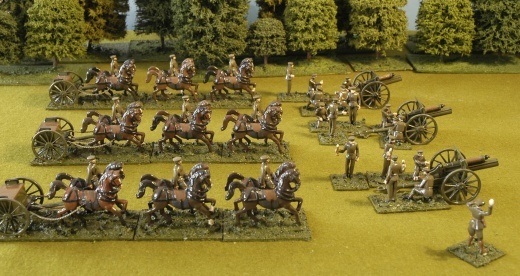 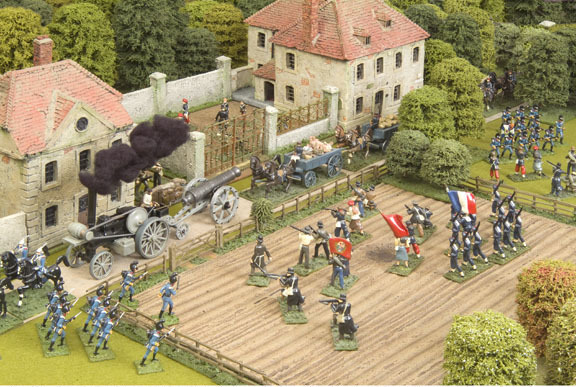 French Marines & Franc Tireurs attack Bavarians & the Prussian artillery train. 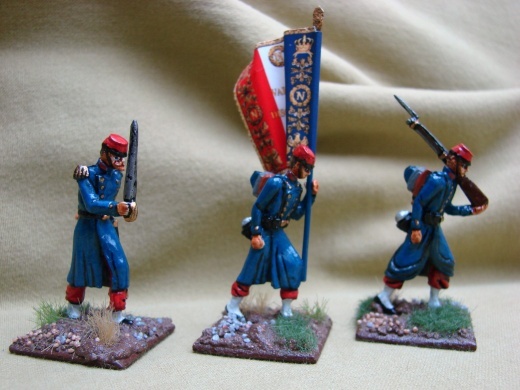 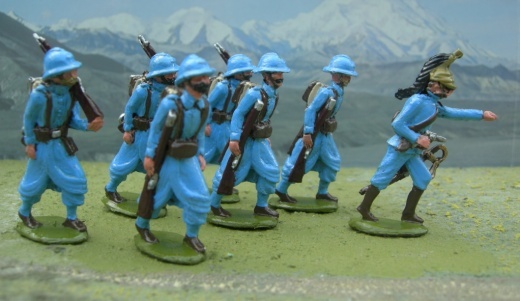 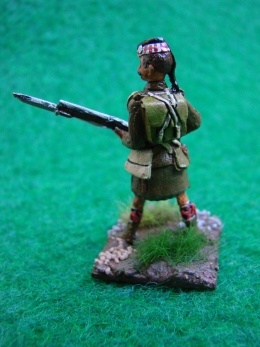 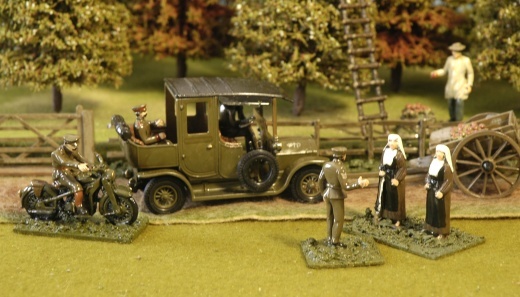 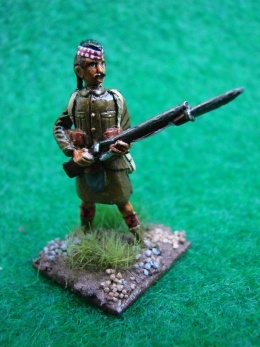 LWF 1, 6 & 16 (with scratchbuilt bayonet) by Marczell Kolos. 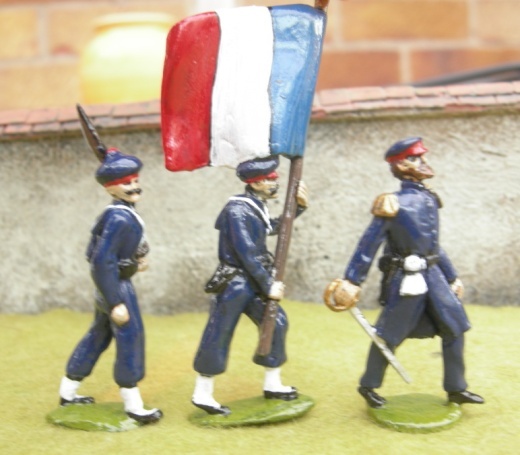 LWF 21, 25 & 36 Late WW1 French. 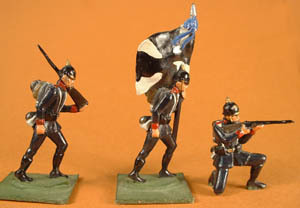 LWF 29, 30 & 31 marines. 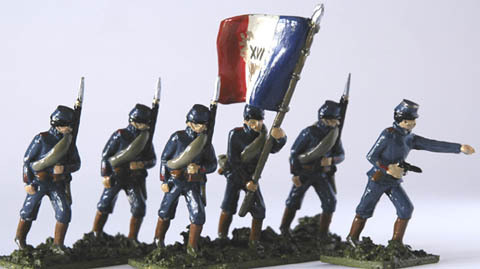 Unless otherwise stated, infantry wear the Pickelhaube of the Franco-Prussian War and early World War I. 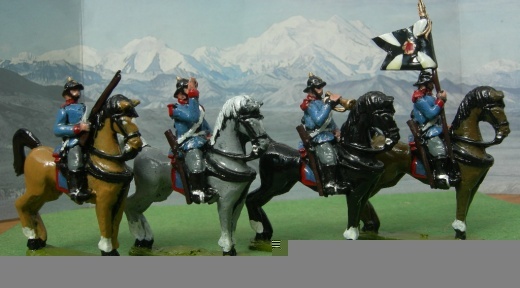 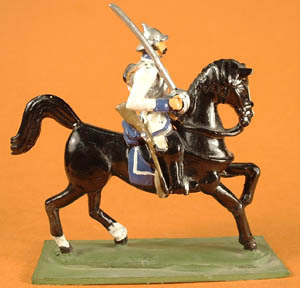 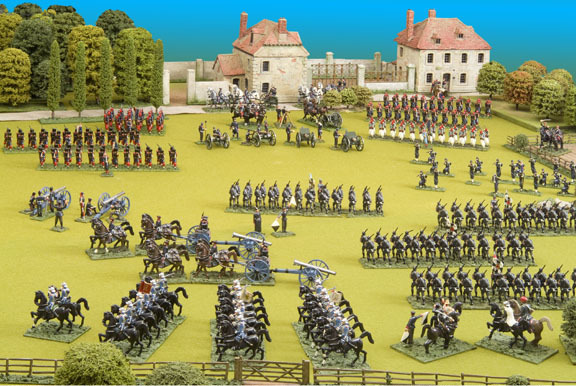 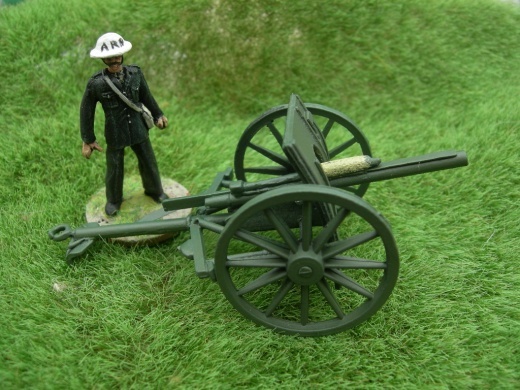 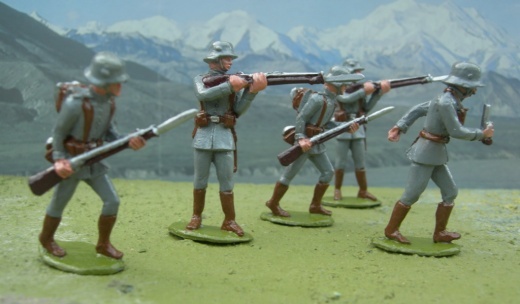 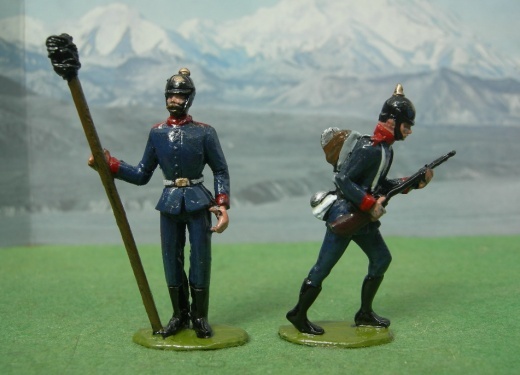 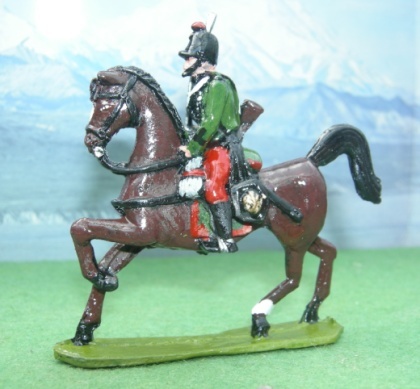 For Bavarians, see our 1860's range. 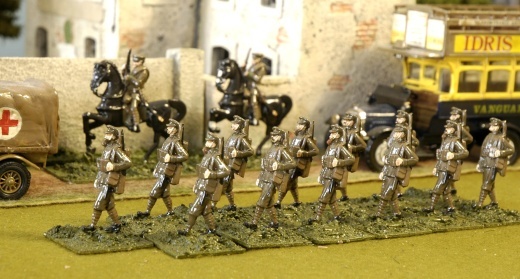 LWG 28, 26 & 24 Late WW1 Germans. 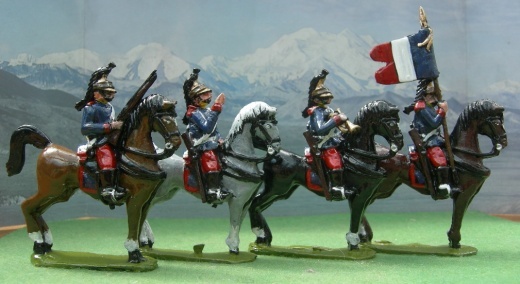 Also use our Austro-Prussian war Bavarians as Prussian allies. 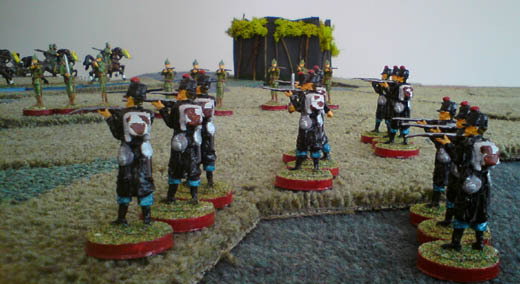 Another shot of Lee Maxwell and Graham Cummings collection. 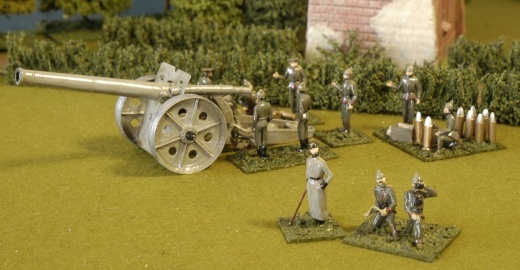 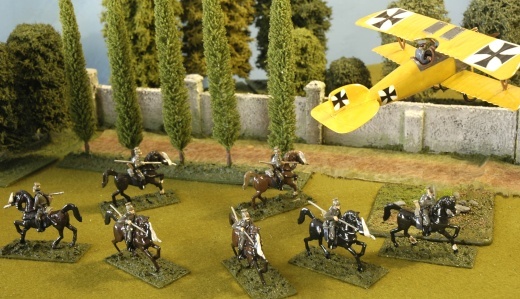 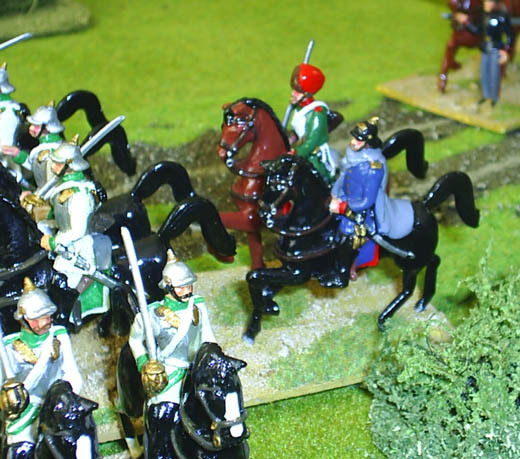 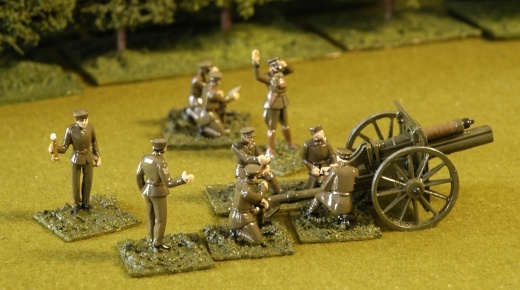 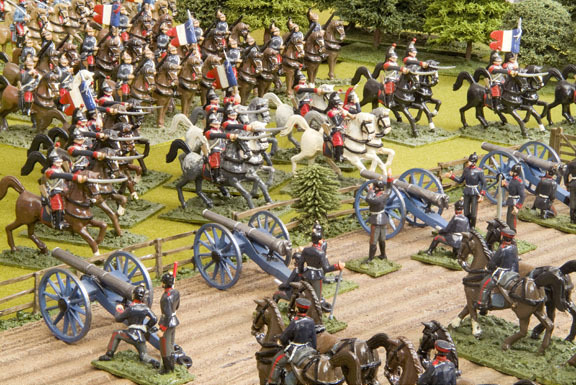 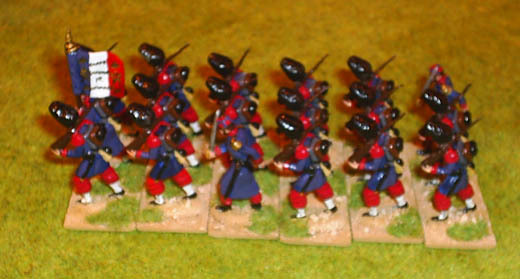 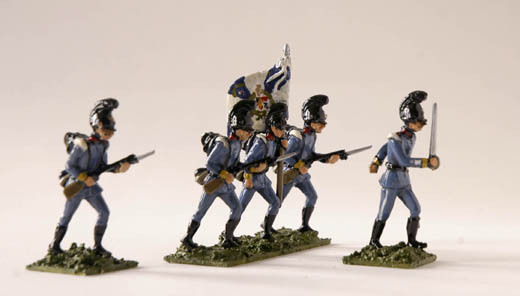 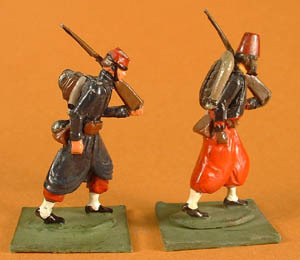 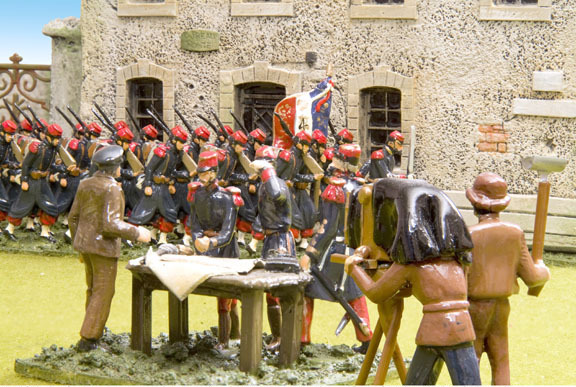 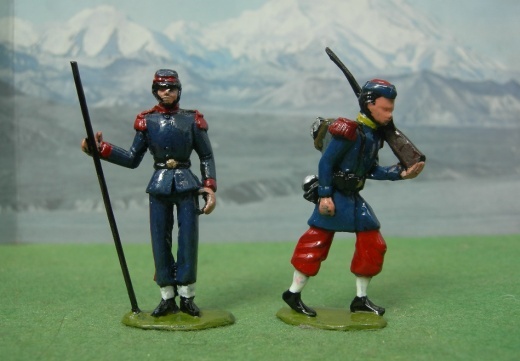 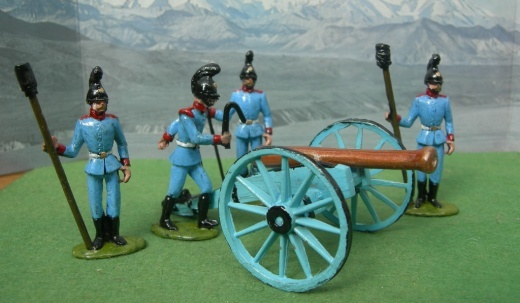 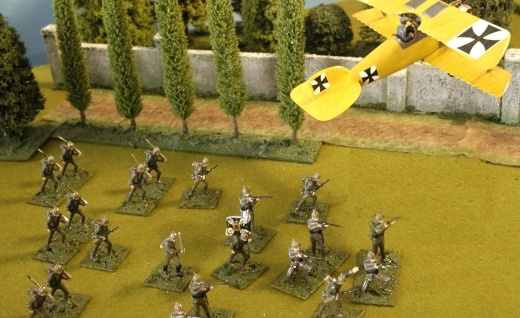 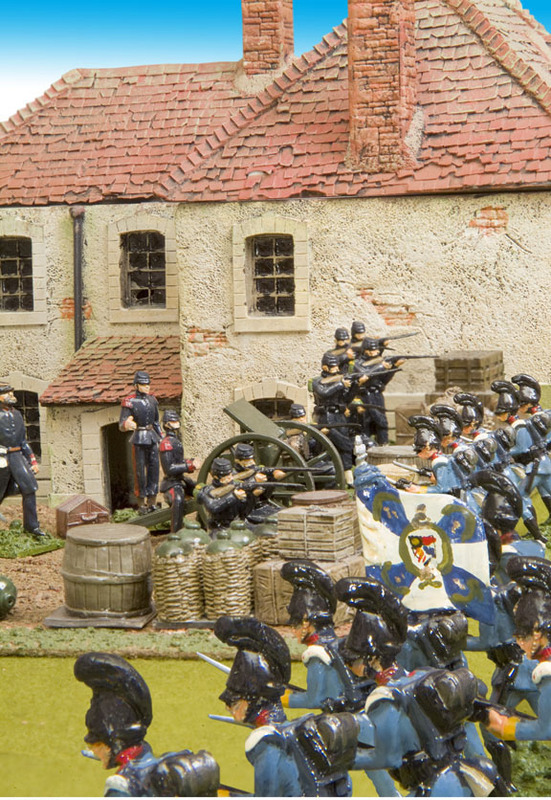 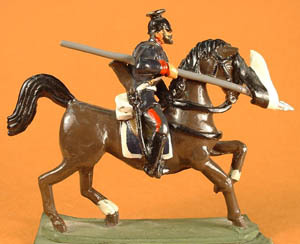 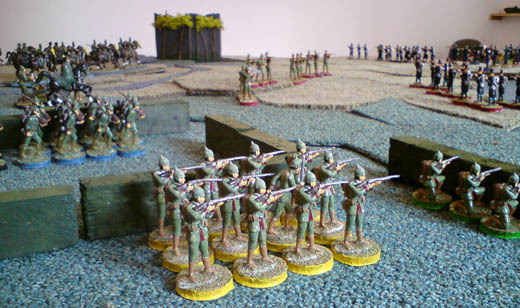 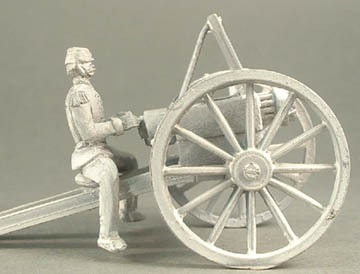 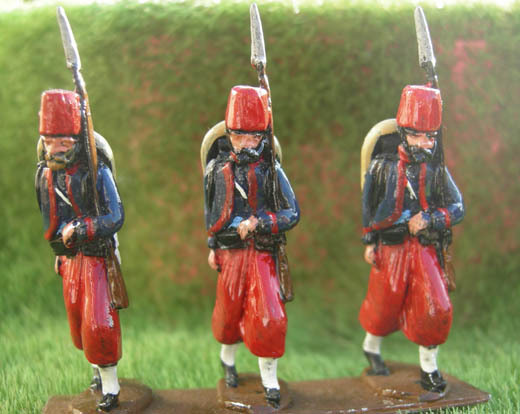 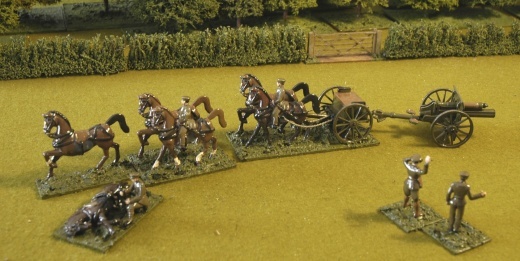 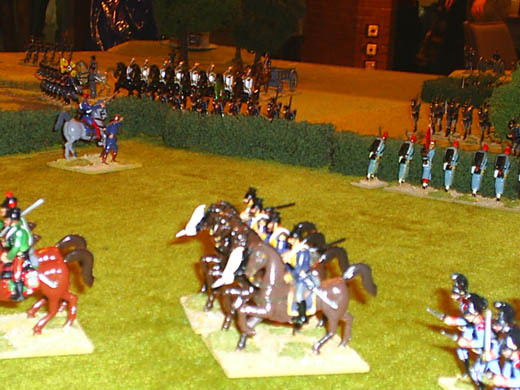 Bavarians attach French infantry and a Mitrailleuse. 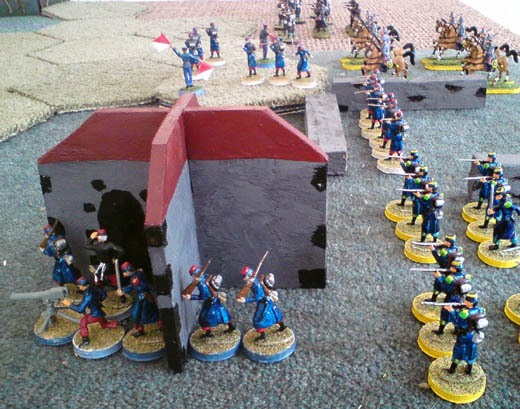 LWBE4 Carabineer infantry advancing in top hat!